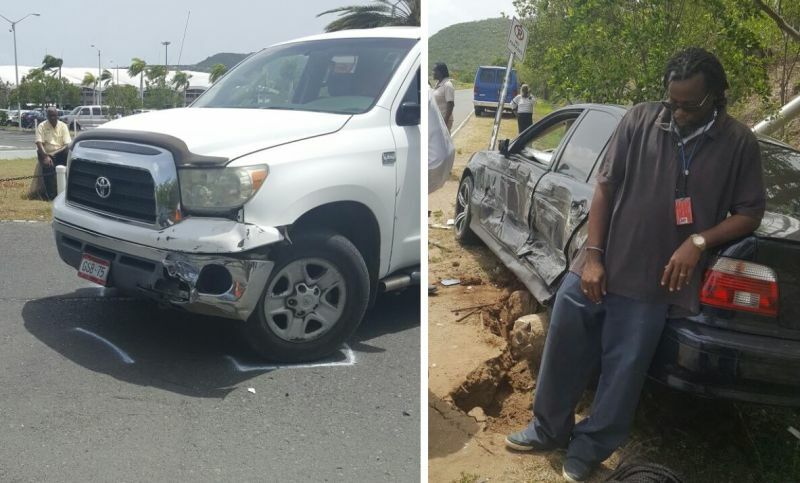 According to reports reaching Virgin Islands News Online, it was around 10:45 AM that a car being driven by the female was heading east in the direction of Trellis Bay when it was hit by another vehicle in the vicinity of the Terrance B. Lettsome International Airport. The car, a black BMW with license plate PK 280, was at the time heading past the airport terminal when it was hit by an SUV, with license plate GSB 75, that was turning on to the main road from the airport parking lot. 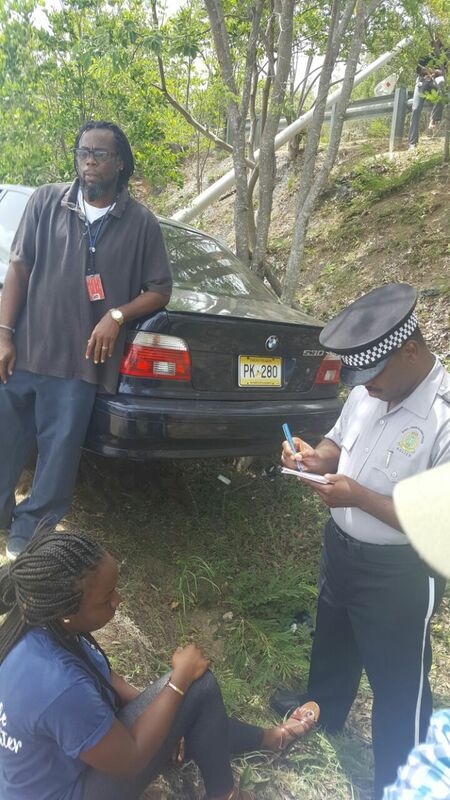 The SUV reportedly belongs to the BVI Airports Authority. The impact of the collision sent the car to the opposite side of the road. The driver of the SUV appears to be unharmed while the female driver appeared injured and is awaiting the arrival of an ambulance. The drivers were the lone occupants of the respective vehicles. Police are on the scene conducting their investigation. More details will be forthcoming once they become available. Shut the hell up. If it was ur mother u would have want them to come for her. If u do not have nothing nice to say just do not say nothing. Me is thinking it's those fish and sun symbols that everyone considered demonic that responsible for all this road madness....Who's with meh.....? What I need you to do is shut up about demonic. You sound like a real Jerkafied.